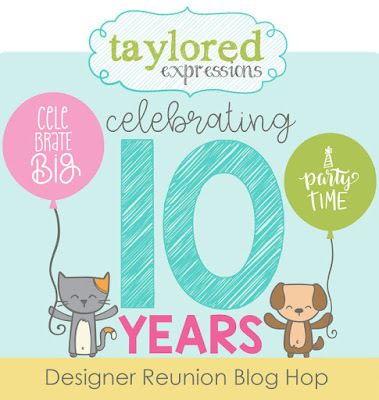 I'm absolutely thrilled to be able to play along with Taylored Expressions 10th Birthday Mega Party and Designer Reunion! I've been a Taylored Expressions fan since 2010 and hopped along with the Key Ingredients designers as a guest way back then! Needless to say, I'm super excited to be hopping along with TE again as they celebrate 10 amazing years! There are almost 40 designers involved in the hop today, so click this link to Taylor's blog, https://tayloredexpressions.com/blog/, so you don't miss a beat! 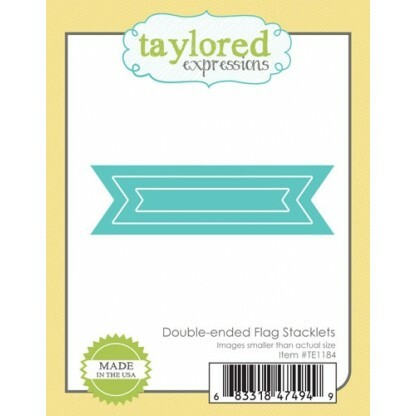 Check out these brand-new products that just hit the shelves at Taylored Expressions! Here are the darling TE products that I used on my card today! 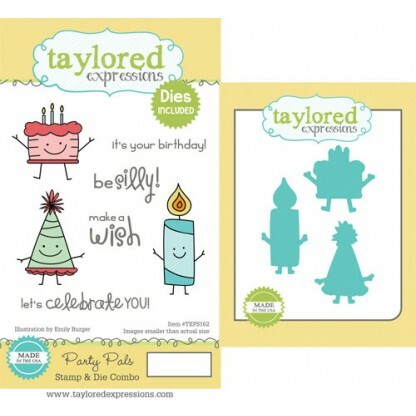 I stamped, colored and die-cut the adorable cake image from Party Pals to take center stage of the card. 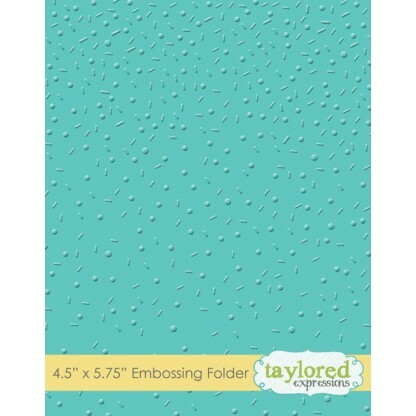 Notice the background has been embossed with the Sprinkles embossing folder for added texture and dimension. After cutting one of the circle Tag Stacklets 3 and one of the Double-ended Flag Stackets, then stamping the sentiment, I layered this fun birthday card up for a whimsical look, adding some baker's twine and sequins for a little extra flair. How adorable is that cake image from Party Pals?! LOVE! 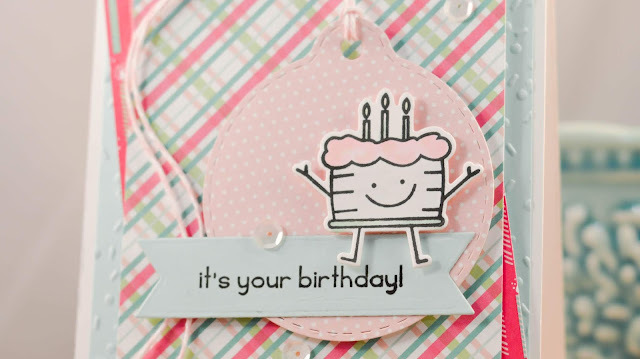 Thanks so much for stopping by and hopping along with us for TE's 10th Birthday Party! After a basement clean-out and reorganization of my craft space, I couldn't wait to play along with some of my favorite stamps and dies from SugarPea Designs! There's a challenge up and running over at SugarPea Designs, too, so I just had to attempt "mixing it up" using both the sketch and the photo inspiration from the Mix It Up Challenge #46 - Fresh Inspiration! Old habits die hard as you can see from my layering and and added texture! 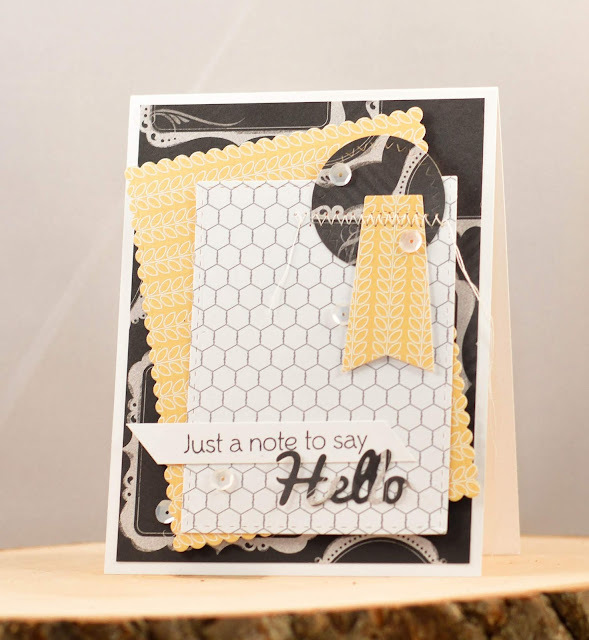 The sentiment stamp and Hello die are from a previously released SugarPea Designs. After looking through the shop, it seems that there are many new stamps and dies that are calling my name! 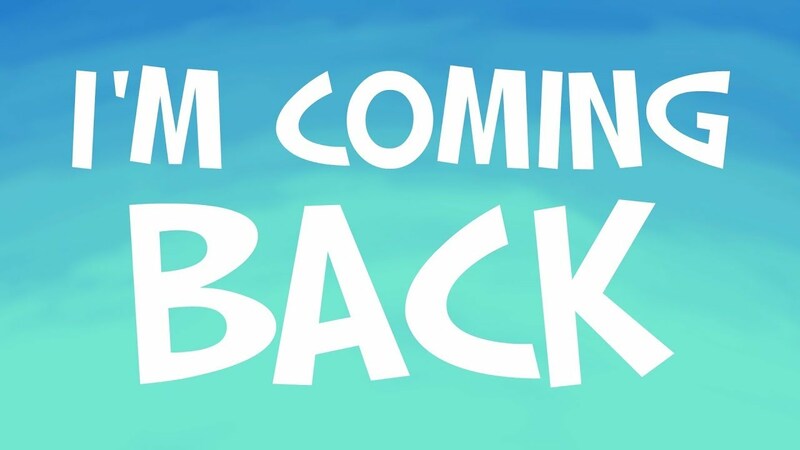 The Cat Pack has even more peeks at The Cat's Pajamas new release! 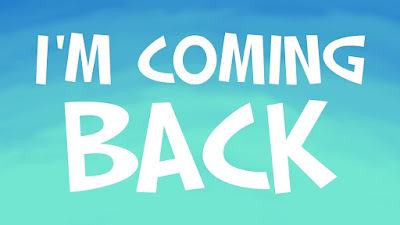 You should have arrived here by way of the fabulous Christine! 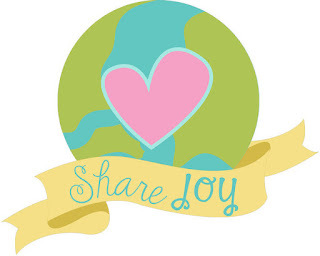 If not, make sure you start at the beginning of the hop at Brenda's wonderful blog! I love this new stamp set and cups dies...yep, I'm a coffee lover and have lots of coffee and tea lover friends that I'll be able to create for using these new goodies! 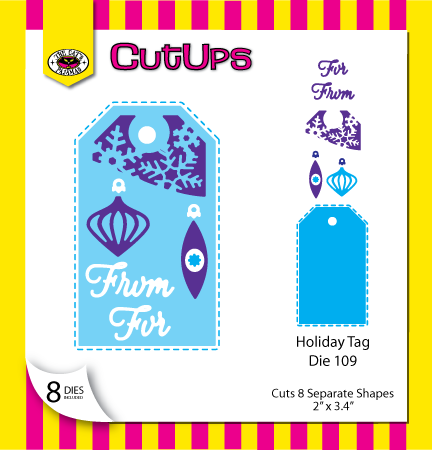 The new CutUps, Holiday Tag and Scalloped Duo are must-have dies for any crafter's arsenal! 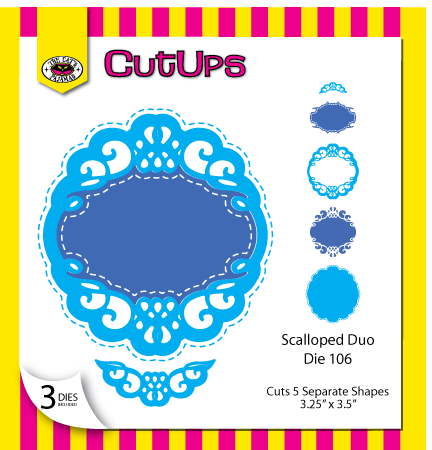 I will be using these two CutUps over and over and over again..you know I kinda like to layer up die cuts! I finished off the card with some seam binding bows and white sequins. 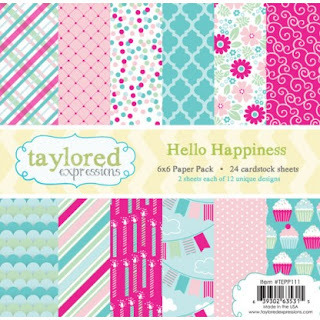 Here are the new release goodies that I used on my card today! 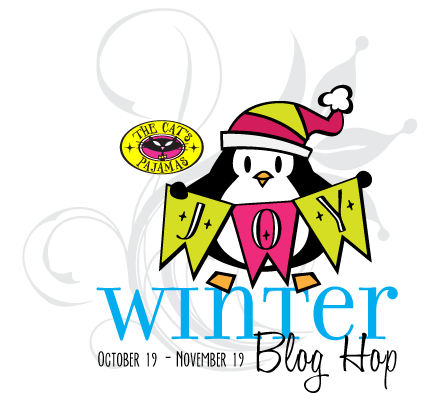 Make sure you get in on our WINTER BLOG HOP, too...starting Wednesday! It will be SNOW much fun! 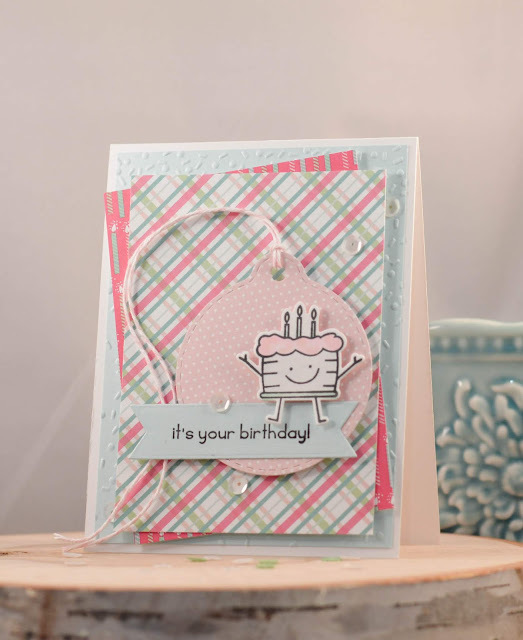 Now, you're off to the amazing Anita to see what she has whipped up for today's hop! Happy shopping at The Cat's Pajamas store! 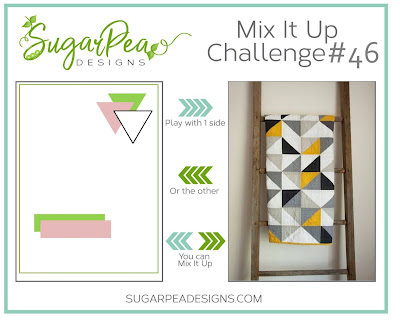 I'm up on the SugarPea Designs Blog today with the DT Feature! 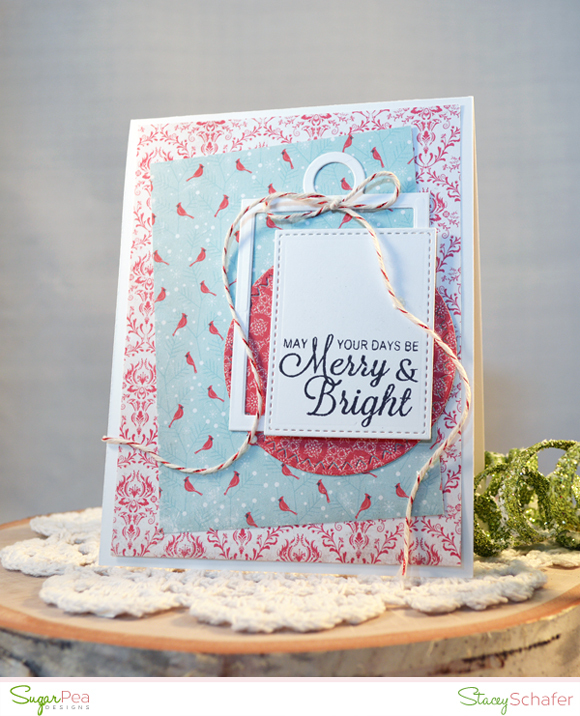 Head on over there for the details of my holiday project today using some new goodies!